What is Todd (TEXASLAWMAN) doing today. A blog of sorts to my daily adventures. LSB Sus Venator Club: To post in this section requires a hog 250+ pounds, or ten hogs killed by one hunter in a single day/night of hunting. Tell us about your hunting trips and adventures! Share your pictures here! 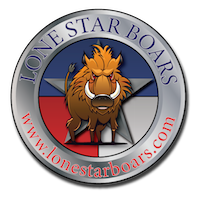 SUBSCRIBE TO LONE STAR BOARS YOUTUBE HERE. General discussion and chat go here. Keep it clean, follow the rules, use common sense. SUPPRESSORS / SILENCERS / CANS sponsored by SILENCER SHOP. Firearms; Rifle, Shotgun, Pistol, accessories. All firearms discussions; Rifle, Shotgun, Handgun, accessories, troubleshooting, etc. DRY CREEK OUTFITTERS GUIDE SERVICE. At Dry Creek Outfitters, we pride ourselves on the services we deliver. We are motivated by the opportunity to share hunting experiences. We find satisfaction in providing an enjoyable, memorable, and successful hunt. We promise to provide the best in class customer service to do so. How We Came To Be! My name is Rustin Morgan and I began this operation in 2012 due to my extreme passion for the outdoors. My hunting experience began to be obtained at the age of 5, and still to this day I learn something new every day! My passion is at its peak when it comes to a flock of Mallards landing right in the kill hole, or a flock of American Wigeon whistling their distinct sound along side their wings! Waterfowl is the reason this adventure began.... Over the last few years, my passion (not only for waterfowl) has grown to be stronger and stronger. This operation is at its prime with young guides, raging with ambition like no other to provide you with a hunt of a lifetime. Welcome...to Dry Creek Outfitters! Wild game, or store bought post up your favorite recipes here. From Upland Game Birds to store bought chicken post your recipes here. From your pond, or the ocean your best fish recipes go here. Pulsar Line Up changes ? Any Flir 536 users ?